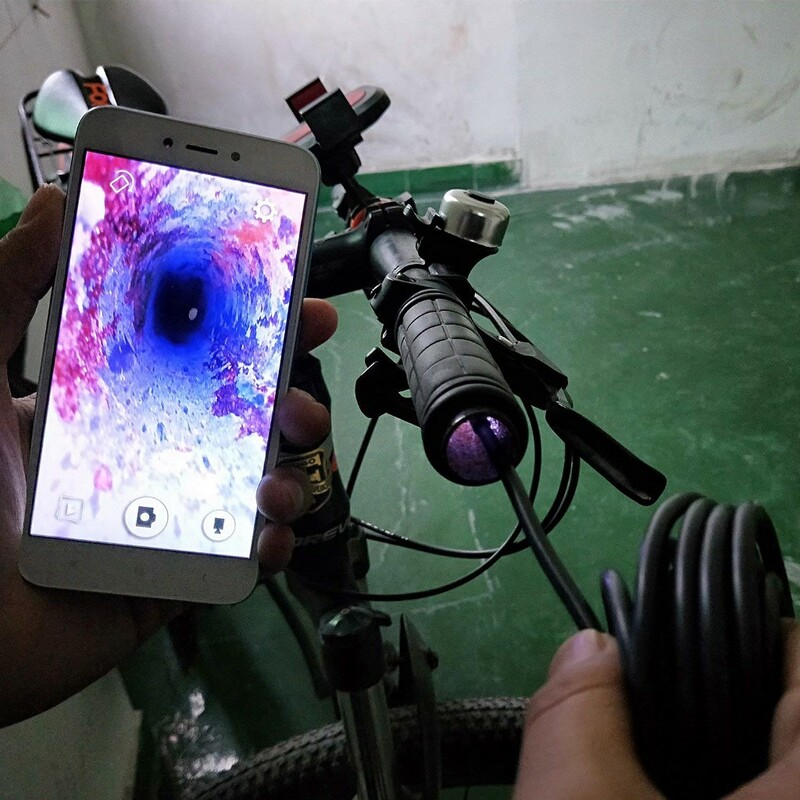 【Flexible Usage】The diameter of wireless endoscope camera probe is only 5.5mm (0.21 inches), which can directly access to narrow dark places for nondestructive testing, such as pipe, mechanical equipment, Car maintenance, carbon deposition, cylinder, engine and other devices. 【High Definition】The resolution ratio of industrial videoscope can maximally reach 1920*1080. 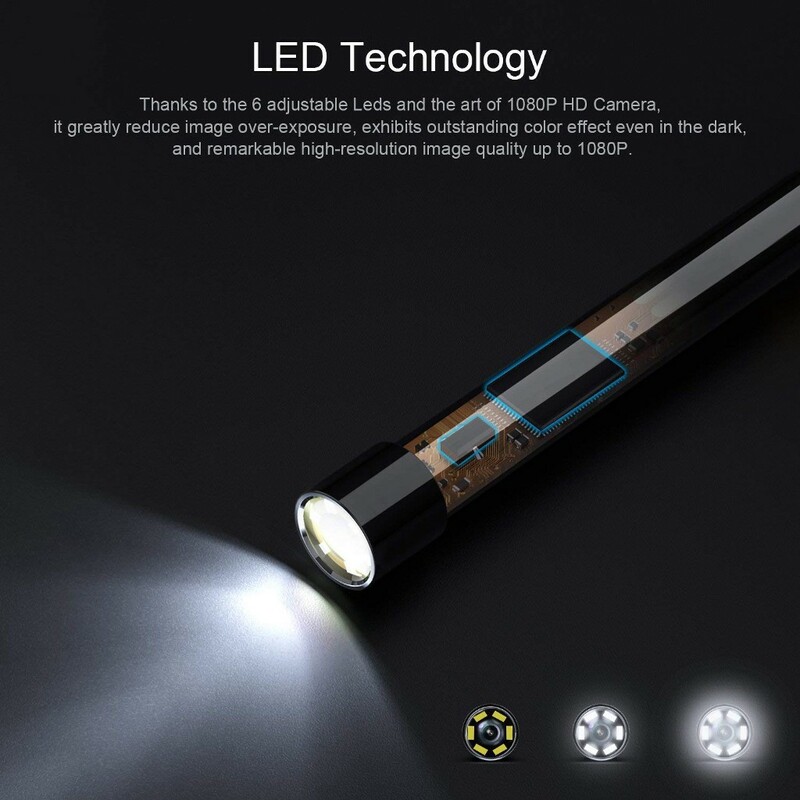 6500K sunlight highlighting LED technology can make the image delicate, make the color vivid and restore the details under the dark conditions. 【Smooth Video】30fps velocity ensures that the images and videos can be watched smoothly in vibration, which gives you a better experience. 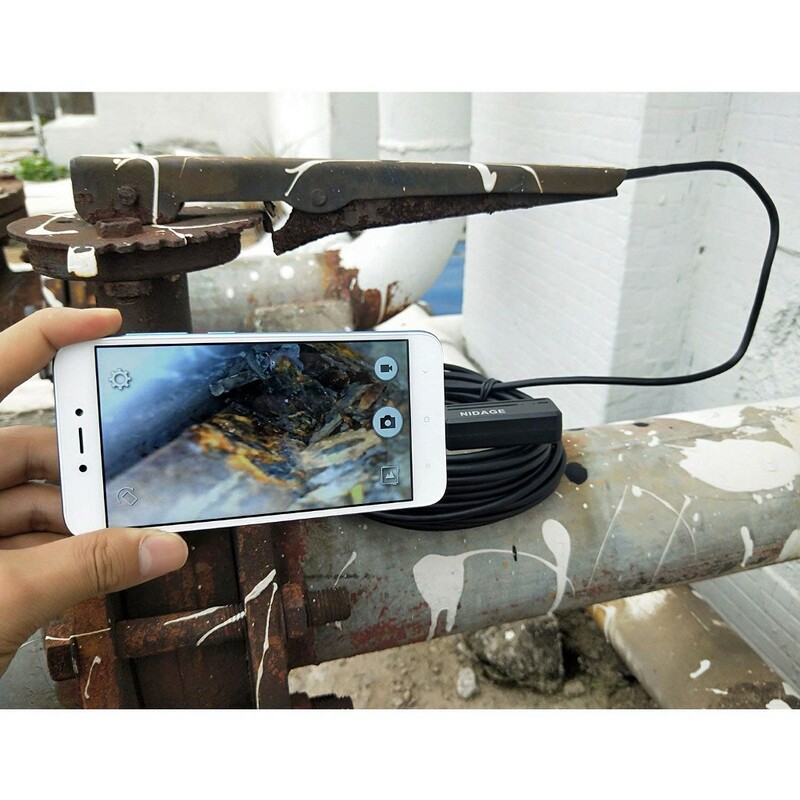 【Compatible Device】The wireless borescope is equipped with hotspot connection, and it can not only be used on iPhone IOS devices, but also Android smart phones. 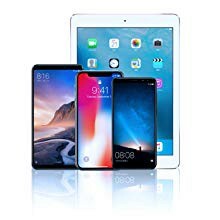 What you should do is just installing the APP “HD Wifi” downloaded from Google Play or Apple store, which can be operated easily. 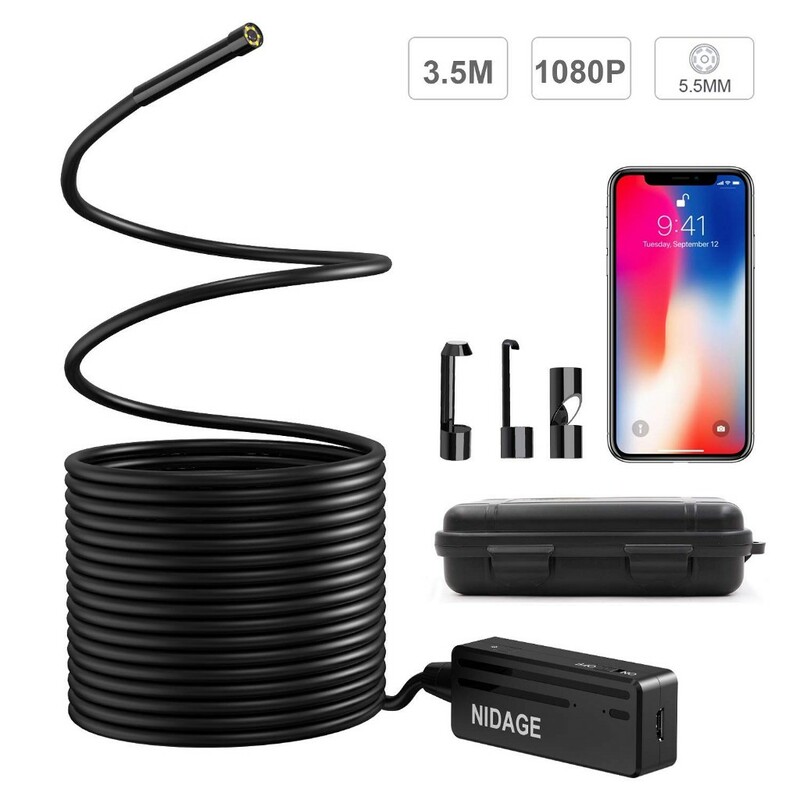 【Outstanding Quality】NIDAGE is the professional manufacturers of detection camera, and all the products pass the test in the severe environment, for example, they are inserted into the tube for waterproofing test with grade IP67, they are dropped from 1-meter height for drop resistance test and so on, which shows the reliability and durability from multiple aspects. 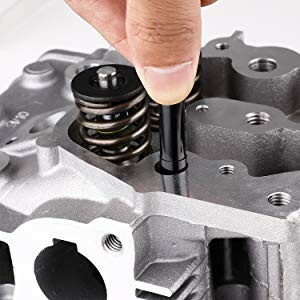 Moreover, we provide 12-month warranty. 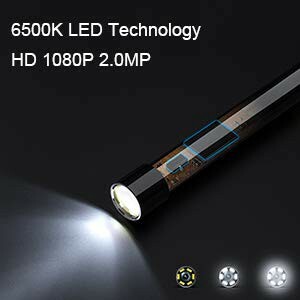 6500K LED Highlight Technology Maximum Configuration Lens. With 5.5mm ultra-small lens, it can touch the subtleties, back and forth freely. 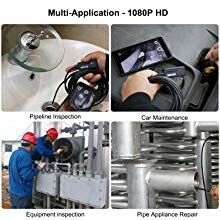 AW 655 series ultra-clear Wi-Fi endoscope with new miniature HD 1080P CMOS lens with up to 2 million active pixels for ultra-clear field of view. 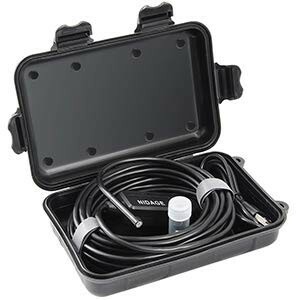 This Borescope can be used for the inspection and observation of toxic, nuclear radiation and the places which cannot be directly observed by human eyes, and are mainly used for automobiles, aero-engines, pipelines, and mechanical parts, and nondestructive detection can be realized without disassembly or destruction of assembly and equipment stop running. 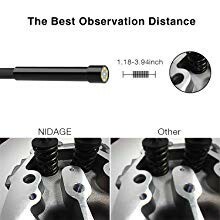 In order to get the best image quality, the best observation distance is about 1.18Inch-3.94 Inch. High quality PCB, provided reliable performanceand strong anti-interference. Please charge WiFi box through DC5V 1A adapter. 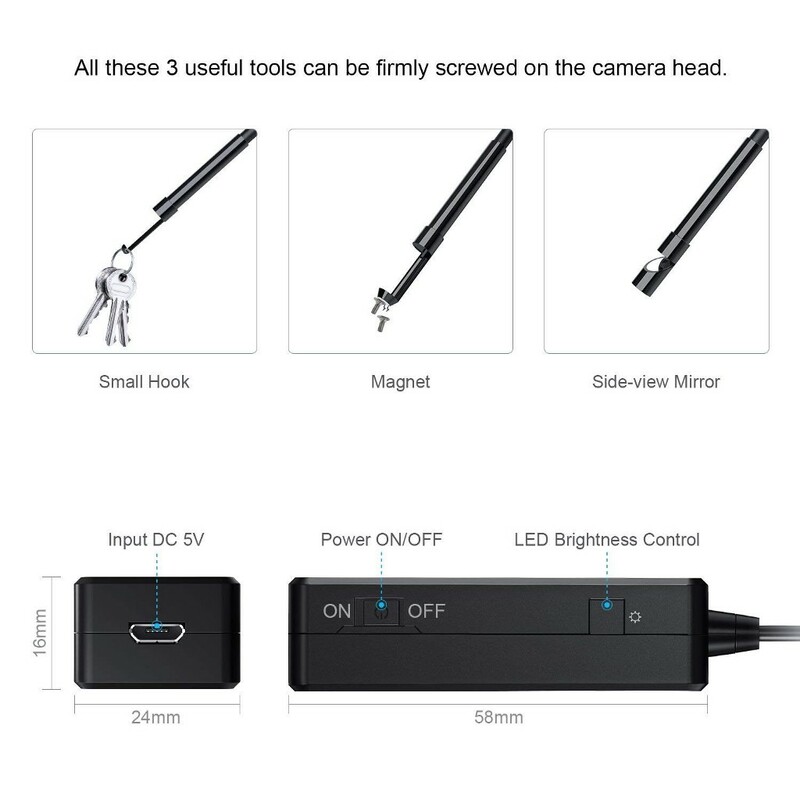 The endoscope cam can work with Android devices( Android 2.3+), as well as iPhone IOS system(iOS 6.0+). Endless Possibilities Great for exploring anywhere you can’t touch or your sight can’t reach, such as auto repairs, home improvement projects-pipeline/sewerage/ water leaks/under the bed or various other tasks.